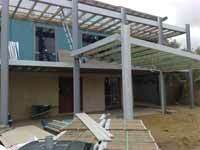 We are a multi-skilled steel fabrication company that provides workshop fabrication and onsite installation, alterations and welding to a very high standard. Our work scope varies from boat & trailer building & repairs to agricultural machinery fabrication & repairs, earthmoving equipment, structural steel, i.e. 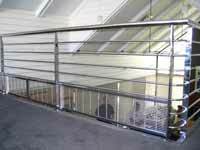 columns and beams, to staircases of all kinds, double stringer, single stringer and spirals, balustrading in steel, aluminium or stainless steel, handrails and anything you may require, fabricated out of steel. Dunwelds offers fabrication in mild steel, aluminium and stainless steel using all sections available. We can fabricate with heavy structural steel as well as light sheet metal, including structures like stairs, columns, balustrades, rafters and beams. We also provide a galvanizing service. We do repairs and alterations to earthmoving equipment, aluminium boats as well as commercial food and kitchen equipment. We now have a rotisserie for car body welding and also do modifications or repairs to all types of trailers. We can provide an onsite fabrication and welding service for construction firms, building companies, farms, wineries and more. We also have a dogging ticket to work with cranes. Dunwelds is open from 7:30am to 5:00pm from Monday to Friday. 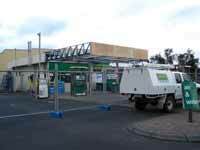 After hours work is available by appointment or for Emergency welding repairs, please call Clint on 0403 171 600.